The Amazon Echo-alikes keep coming with Mobvoi the latest to announce a voice-controlled smart speaker. 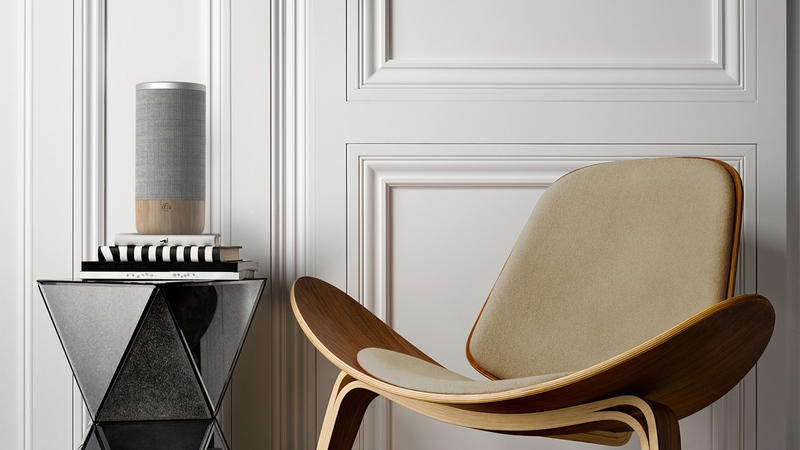 The Tichome device, which looks like a cross between the Echo and a Google Home, is due to land in China this autumn 2017. We don't know a lot about Tichome yet aside from the fact the speaker will work with Mobvoi's new chatbot and act as a smart home hub to control third party devices. You might have heard of Mobvoi after its big crowdfunding campaign for the international Ticwatch 2 smartwatch last year but it is, at its core, an AI startup. Its new, as yet unnamed, AI assistant will be able to carry out Alexa-style voice functions like performing internet searches or controlling smart lights. Though with Amazon and Google's recent strides launching or looking into features like voice calling and accessing Prime Now, Mobvoi will be playing catch up. A Mobvoi rep told us that Tichome is currently "under development". It's easy to see that Google and Mobvoi could recreate the situation we've seen in smartwatches in which Mobvoi's localised voice, search and AI are deployed in China where Google services are limited. Right now, you can use an Amazon Echo in China, according to forum posters there - there's no localised Amazon services but you can get news and weather by specifying the city. We've had a scout around and haven't seen anyone who has been able to set up a Google Home in a useful way in China. Plus don't count out the LingLong DingDong A3, a 698 yuan ($100) Echo rival that beat Mobvoi to it late last year.